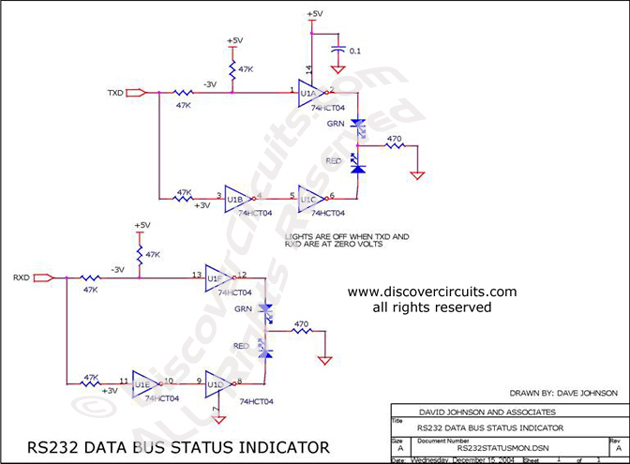 Circuit: RS232 Data Bus Status Indicator __ Circuit designed by David A. Johnson, P.E. This circuit indicates TXD and RXD activity. The thresholds are set at plus 3 volts and minus 3 volts.